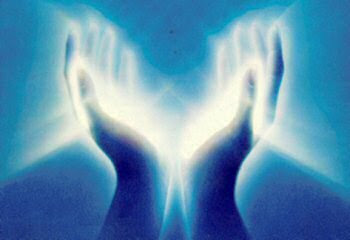 I think I've found something I'm naturally good at - Reiki healing. I completed my Reiki Level 1 yesterday and can't wait to start practising on unwilling victims - oops, I mean friends and family ;) I'm not going to tell you about some freaky things that happened during the course, cos you'll all think I'm more nuts than I am already! But, suffice to say, Jeff wasn't remotely surprised and just re-inforced his opinion about me being a witch!